TERCIO DE LAS TORRES guarantees our consumers a real gourmet product and, furthermore, that the process from the olives to the bottle is controlled by our company and protected by the certificate of origin PONIENTE DE GRANADA. Our varieties, Picual and Picudo, are harvested in early November when the fruit is still green and retains all its attributes. That is, its highest aroma and taste, reaching the demands of the most discerning palates. Pampered harvest and transport of all the fruits in boxes, avoiding all kind of damage. The proximity of the oil mill, guarantees its immediate trituration in cold. That is always below 22 degrees, very carefully and, of course, using the most advanced and modern machinery. TERCIO DE LAS TORRES, is a EXTRA VIRGIN OLIVE OIL brand, which has been made with a olives selection of Picudo variety (60%) and Picual (40%) with an extraction completely in cold. We would like to offer you an exquisite oil, endowed with excellent aromas and flavor, of great sobriety and remarkable balance. Its high content of oleic acid provides a high stability, with a low level of peroxides and high polyphenols that characterize its great antioxidant power, with an acidity that does not exceed 0.2 degrees. Oil balanced with medium fruity, notes of olive leaves, apple, green almond and banana in the mouth, very tasty, rich in aromas and an elegant bitterness and itching at the end in low intensity that honors the fusion of varieties Picual and Picudo. The coupage oil that contains these varieties is very stable because of its high content of fatty acids, highly recommended for dietetics. It is ideal and delicious to take in raw, salads or directly on the bread with breakfast. It exalts the flavor of any dish or dessert for its intense flavor and great personality. TERCIO DE LAS TORRES, seeks to permanently build a unique and memorable gastronomic experience that saturates the senses and goes beyond the simple fact of consuming a product, from the collection to the tasting, TERCIO DE LAS TORRES is a whole process full of meaning and sensitivity. 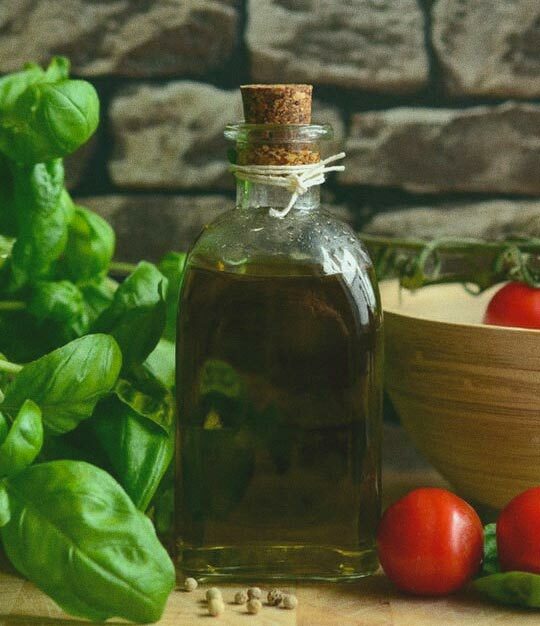 The extra virgin olive oil is an element that transcends the merely gastronomic and that connects with the most authentic tradition, culture and history of the Mediterranean world. We are passionate about olive oil, specially about our extra virgin olive oil TERCIO DE LAS TORRES. We are convinced that, once you taste our oil, you will join our club.